Insider-out: Alliance plans for 2019 at over dinner parties? As regional heavyweights descended on Lutyens’ Delhi in search of new friends and allies for Battle 2019, there was a flurry of dinners. 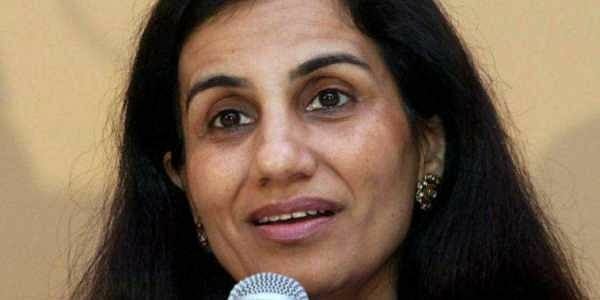 Even before the lookout notice against her and her husband and Videocon’s Venugopal Dhoot was out, ICICI CEO Chanda Kochhar had been keeping a low profile in anticipation of trouble from the probe agencies. Not only did she pull out of the FICCI Ladies Organisation do (where she was guest of honour and President Ram Nath Kovind was chief guest) to avoid questions and embarrassment, she was not to be seen at the ICICI Lombard and ICICI Pru listing ceremony, which was seen as a significant absence by the market. The last two times, Chanda Kochhar had taken part in the subsidiary brokerage firm’s debut listing. The chatter at FICCI was that Shikha Sharma of Axis Bank, may not be having the same problems, but she too has been found on the wrong side of the government. As regional heavyweights descended on Lutyens’ Delhi in search of new friends and allies for Battle 2019, there was a flurry of dinners. Chandrababu Naidu had an entire section of Andhra Bhawan cleared for a sumptuous spread for his friends from other regional parties. No Congress, no BJP mind you (the TDP, after all, only got an ambivalent kind of invite to Sonia Gandhi’s dinner). Naidu’s Bengal counterpart Mamata Banerjee was so busy in her political liaison work that she found no time to throw a dinner. The gap was filled by her party’s MP from Rajya Sabha and editor of an Urdu daily, Nadimul Haque. Among other Congress leaders at Haque’s dinner, Deepa Dasmunshi, former MP from Raiganj, was spotted. The presence of Deepa, once a trenchant critic of Didi, raised a few eyebrows. Till she shared her worry... the BJP was making steady inroads in the border districts of Bengal, hitherto Congress strongholds—so “united we stand, divided we fall’’ is the spirit. In other words, without playing footsie with TMC, the prospect of regaining Raiganj looks bleak. The Congress in Bengal seems to be confused. WBPCC chief Adhir Chowdhury filed a petition in the Calcutta High Court seeking deployment of Central forces for the panchayat polls. Just as the case was being heard, his party colleague Abhishek Manu Singhvi was arguing on TMC’s behalf in the Supreme Court on an identical petition filed by the BJP. Singhvi recently won a Rajya Sabha seat from Bengal with Didi’s backing. A hopping mad Chowdhury shot off a complaint note to Rahul Gandhi, exactly the way Ramesh Chennithala had done when Singhvi had represented the lottery king in a Kerala court against the state government. The last is yet to be heard on the matter. Unlike Chennithala then, Chowdhury may be fighting a lonely battle in Bengal. Going by the flurry of meetings and the long line of cars at Sharad Pawar’s Pune residence, political watchers are convinced that the Maratha strongman is back playing the great game. His supporters are, of course, convinced that Pawar could be the best coalition-builder given his cross-party friendships. The total washout of the second half of the budget session had the treasury and the Opposition blaming each other as usual. Not Jairam Ramesh. The Congress MP from Rajya Sabha has written a personal letter to chairman Venkaiah Naidu suggesting a special session to make up for the lost time. Ramesh argues that if Naidu can persuade the government to agree to a 10-day special sitting in June, before the monsoon session commences, it would go a long way in restoring public faith in Parliament. Now that the session is over, and the cacophony of protests has fallen silent, maybe the treasury may get to hear the point.